Pre-listing inspection (Sellers inspection) are becoming more popular because they eliminate the pitfalls and hassles associated with waiting for a buyer’s home inspection. Waiting to schedule the inspection until after a pre-purchase offer is made, reduces the efficiency of selling a property. Pre-listing inspections are conducted before the property is listed, they increase the efficiency of selling a property & are a more sophisticated approach. A hard copy of the report is left at the property for all interested partied to review, while viewing the property. An electronic version of the report is also put online & made available to all interested parties to view before or after viewing the property. In the auto market, certified/inspected pre-owned vehicles sell for more. So why not have a property pre-inspected. Why let the buyer’s inspector influence your deal! In our experience pre-listing inspections greatly increase the efficiency of the selling process & it can attract a higher selling price. Listing realtors should recommend the use of pre-listing inspections to all their sellers. Interruptions to the seller are minimized as the seller does not have to have several buyers, realtors & inspectors roaming through their property for several hours at a time. The seller & the realtor, do not have to be at the mercy of a buyer’s inspection. It may alert the seller to any items of immediate concern, e.g. attic mold or unsafe electrical wiring etc.…. The seller can review the pre-listing inspection report & have any incorrect information corrected before the report is made public. It can help the seller & the listing realtor, realistically price the home if problems exist. If the report is clean it can help the seller & the listing realtor substantiate a higher asking price. It can reveal problems ahead of time, which if corrected can make the property show better. 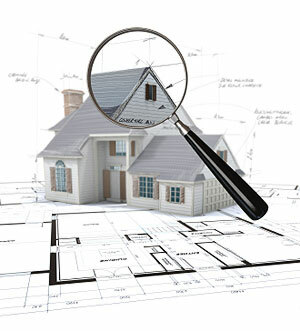 The report relieves the seller/ realtor of having to hurriedly procure repair estimates or schedule repairs. Permits the seller & the listing realtor to attach repair estimates or paid invoices to the inspection report. It may alert the seller/realtor to any immediate safety issues, before potential purchasers view the property. It provides a third-party, unbiased opinion to offer to potential buyers. A pre-listing inspection encourages buyers to waive the inspection contingency. A clean inspection report, can be used by the seller/relator as a marketing tool. The availability of an online pre-listing report can entice more potential buyers to visit the property. Deals are less likely to fall apart, the way they can, when buyer’s inspections unexpectedly reveal last-minute problems. A pre-listing inspection minimizes 11th-hour re-negotiations. A pre-listing inspection can give the buyer the confidence to make a higher offer for the property.